Women have helped, on many levels, to shape politics by campaigning for others, or even becoming a congressperson. Lisa Murkowski at a 1983 Stevens intern reunion. 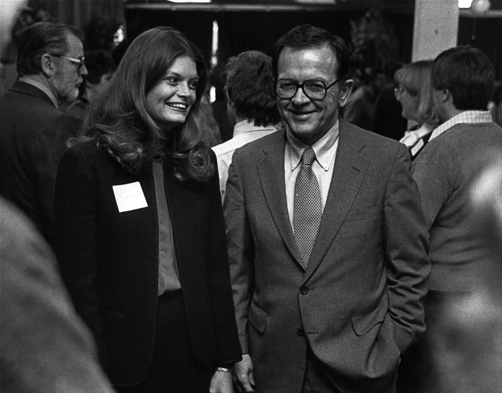 Senator Lisa Murkowski is a former intern of Senator Ted Stevens and considered him a mentor. Unidentified women and Ann Stevens campaigning for the Senator. 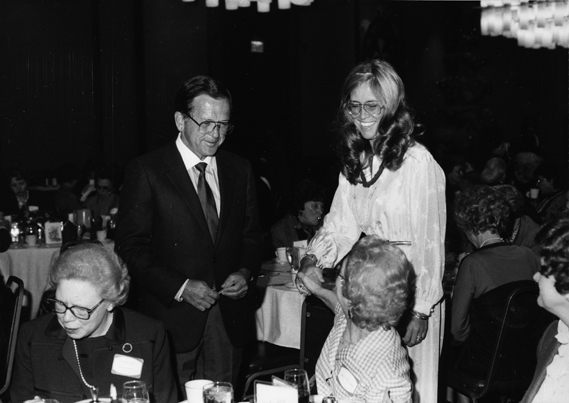 Senators Stevens and Margaret Chase Smith at a policy luncheon. At Haugen Day dinner in Petersburg, from L to R Celia Reid, Stevens, Jean Ellis (Chairwoman), Jodell Jones.